One of Houston’s Most Expensive and Most Affluent Neighborhoods, Hunters Creek Village is one of Memorial Villages’ independent cities. Hunters Creek is an upscale neighborhood that preserves the charm that makes Memorial Villages popular: serene and stylish living a stone’s throw away from big city Houston. INDEPENDENT CITY: Forbes named Hunters Creek Village as one of Houston’s “Top Suburbs to Live Well”. The city is deed-restricted and maintains its own police and fire departments with the rest of the Memorial Villages. PROXIMITY TO GALLERIA: Located some 3 miles northwest of the world-class Galleria, homes in the neighborhood are minutes away from Texas’ largest shopping center. The Galleria features around 400 boutiques, stores, and restaurants, spread over 2.4 million square feet. Also a major Houston employment center, the Galleria/Uptown area has more than 2,000 companies within its borders. EASY ACCESS TO BUSINESS AND EMPLOYMENT CENTERS: The Westchase Business District and the Energy Corridor are also highly accessible from Hunters Creek Village. Thanks to the city’s proximity to Loop 610, downtown Houston, with its 3,500 companies and over 150,000 employees, is less than 8 miles away. LARGE LOTS: The average lot area of Hunters Creek homes for sale is half acre, or 21,780 square feet. Long driveways, wide setbacks, sprawling lawns and backyards are common in the area, giving additional privacy to homeowners. Buying or selling a home in Hunters Creek can be challenging to navigate due to the city’s deed restrictions, low inventories, and different school zoning. Some properties (newer homes on large lots) tend to sell at a premium, while others may sell at a discount. 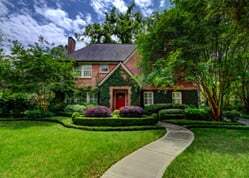 For help in navigating this challenging market, contact Paige Martin, one of Houston’s Best Realtors and one of Hunters Creek Village’s most active real estate agents. Enter your email to get this free Hunters Creek guide in easy-to-read PDF format. Bonus: Also see how this area compares with nearby Villages. Hunters Creek Village has some of the most expensive real estate in the state. It’s one of the six independent cities that make up the Memorial Villages, and is known for its luxury and affluence. 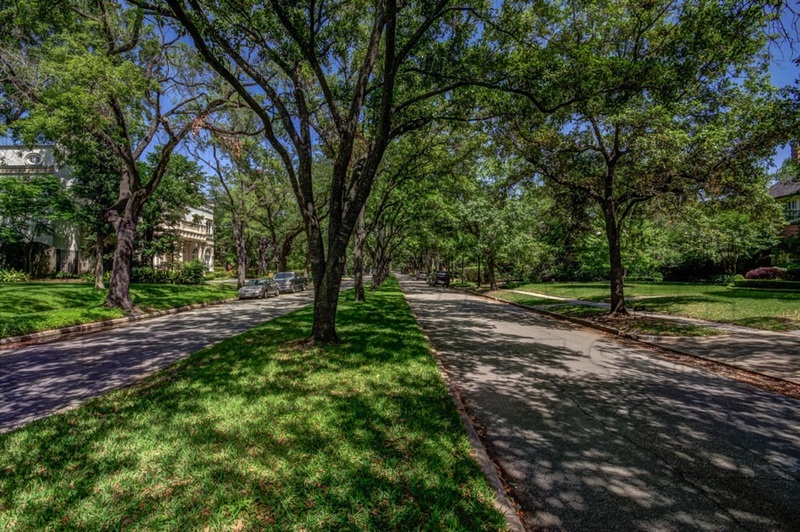 Protected by deed restrictions, the city has taken great care to maintain its wooded surroundings and preserve its tranquil charm. Nestled south of Katy Freeway (I-10), the city is minutes away from Loop 610 and Memorial Park. The Galleria is a short drive away, along with other key Houston districts like Downtown and the Medical Center. The city is zoned to both the Spring Branch ISD and the Houston ISD. Award-winning schools like Hunters Creek Elementary School and Memorial High School serve the neighborhood. The average lot area of Hunters Creek homes for sale is half acre, or 21,780 square feet. Long driveways, sprawling lawns and backyards are common in the area, giving additional privacy to homeowners. Homes in the area range from older ranch-style homes to custom-built luxury homes. New construction and restoring old houses is a popular trend in the area. Like the other Villages, property values in Hunters Creek continue to soar despite slight fluctuations. The median sales price of Hunters Creek homes clocks in at over $1,500,000. Four- to five-bedroom homes are common in the city, though the most expensive Hunters Creek real estate can feature as many as seven bedrooms. Many of the city’s original homes from the 1950s and 60s still stand. 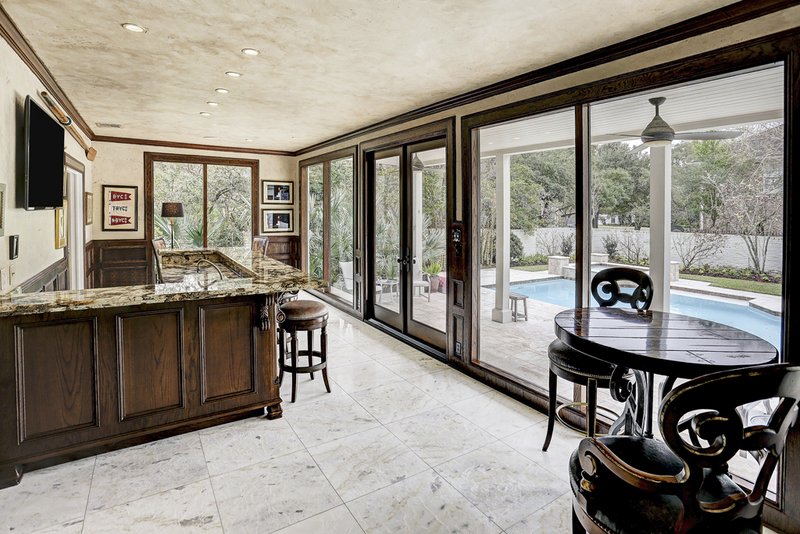 Traditional and ranch-style homes in the area range in size from 2,500 to 5,000 square feet. Newer two-story custom-built homes typically offer more living space, from 6,000 to more than 8,000 square feet. Homes in the city sit on large lots – from 22,000 to more than 40,000 square feet. 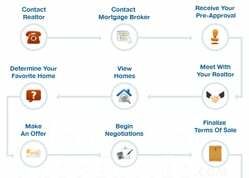 Hunters Creek homes for sale can start at around $800,000. The city’s most expensive real estate can go for more than $3,500,000. 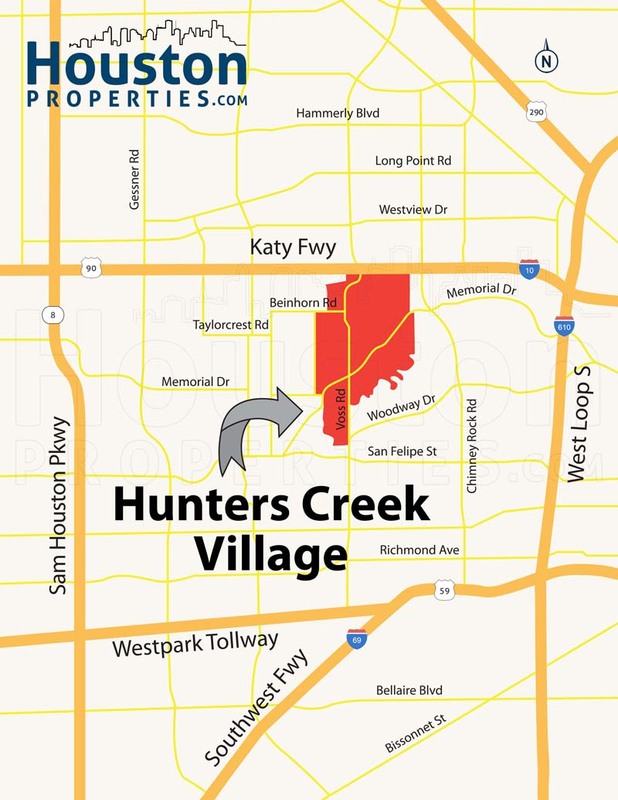 Hunters Creek Village TX covers approximately 2 square miles, stretching south of Katy Freeway (I-10) and north of the Buffalo Bayou. A small portion of the city juts out south of the bayou. Located at the easternmost part of the Memorial Villages, the city has Katy Freeway to the north, Hedwig Village and Piney Point Village to the west, the Buffalo Bayou to the south, and Houston to the east. Spring Valley Village is across the freeway north of Hunters Creek. The city boasts of 6.33 miles of hike and bike paths. Hunters Creek homes have easy access to major Houston centers, including The Galleria, Downtown, Museum District, and Medical Center. Further west of the city is another major employment center, the Energy Corridor. For retail and entertainment, residents can take a short drive to the Galleria/Uptown District. The Galleria is home to more than 400 boutiques and restaurants, with over 2,000,000 square feet of space. The Memorial City Mall, the CityCentre Plaza, and Town & Country Village are west of Hunters Creek Village. The city is zoned to both the Spring Branch ISD and the Houston ISD. Homes north of the Buffalo Bayou are under SBISD, while the southern portion is served by HISD. Memorial Drive Elementary School at 11202 Smithdale Rd.Located in Piney Point Village, MDE is also a National Blue Ribbon School (1996-97). Serving students in grades PK to 5, it has a GreatSchools.org rating of 10 out of 10. Memorial High School at 935 Echo Ln. Located in Hedwig Village, Memorial High School has received a number of awards. Like Spring Branch Middle School, it is an Honor Roll School and a National Blue Ribbon School (1988-89). The school’s excellence also extends to its athletics programs. The Memorial tennis team was in the state finals from 2010 to 2012, while its football team is considered one of the best in the area. The following are some of the more notable private schools near Hunters Creek Village. 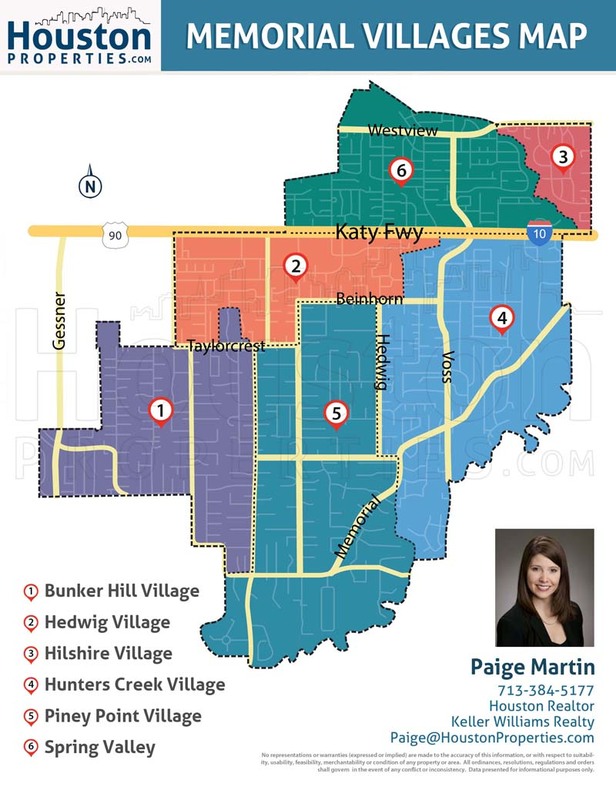 To find an updated listing of all Hunters Creek Village real estate zoned to any specific public school, please send an email to Paige Martin at Paige@HoustonProperties.com with the property preference and budget that you’re working with. Hunters Creek real estate is among the most expensive in the Houston area. 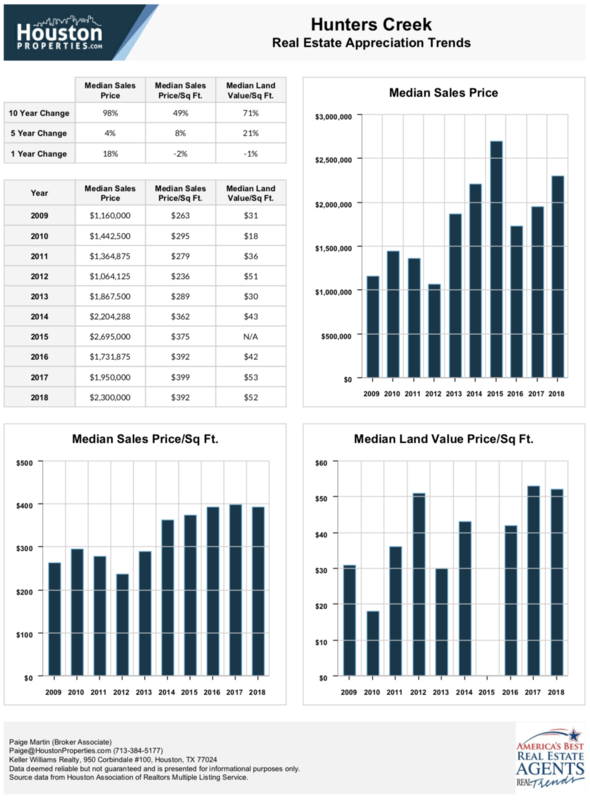 Property values have remained strong over the years. 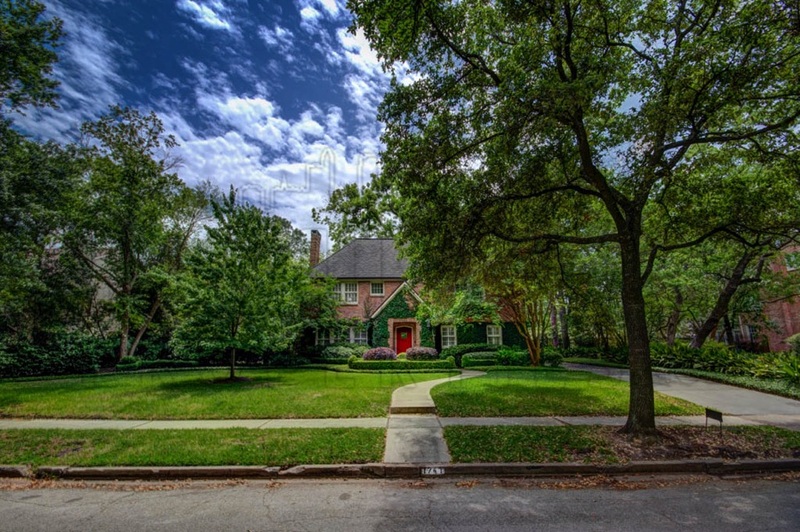 Homes in the area have median sales price of over $1,500,000. Like most of the Memorial Villages, growth is not possible for Hunters Creek Village. This, however, has led to homeowners replacing old ranch-style homes with custom-built homes equipped with modern luxuries. Updating and maintaining the area’s original homes are also keeping the prices up. Despite slight fluctuations, Hunters Creek homes have steadily appreciated over the years. Tight inventories and high demand also contribute to the city’s strong appreciation rates. For updated information regarding Hunters Creek Village real estate pricing and trend analysis, please contact Paige Martin at Paige@HoustonProperties.com. Hunters Creek Village homes are built according to deed restrictions and zoning ordinances. Much like the neighboring Villages, these standards maintain the look and feel of the area. Some homes are within gated subdivisions that strictly comply to building regulations. Most properties occupy large lot areas, ranging from 22,000 to more than 45,000 square feet. Architectural styles also vary. Some homes feature contemporary or French styles, though most lean toward traditional designs. Floor plans may include 4 bedrooms and 3 and a half baths. Larger estates, however, can feature as many as 7 bedrooms, with garage space for 4 cars. A number of factors affect pricing in Hunters Creek Village, including location, size, and age. Older homes on smaller lots tend to sell for lower prices, while newer construction homes and updated estates can sell for more than $3,000,000. Townhomes are not very popular in Hunters Creek Village due to deed restrictions and local building codes. There are, however, some townhomes within the vicinity and neighboring Houston districts. There are no highrise and midrise condos in Hunters Creek. Like most of the Memorial area, some of Hunters Creek Village’s early settlers were farmers. Sawmills and a handful of homes were in the area during the 1930s. Growth in Hunters Creek started in earnest a couple of decades later, during the 1950s and 60s. The completion of the I-10 and Houston’s housing boom led to developers building subdivisions and homes for upper-middle-class families along the Buffalo Bayou. During this period, Houston was looking to expand its borders to include unincorporated neighborhoods. 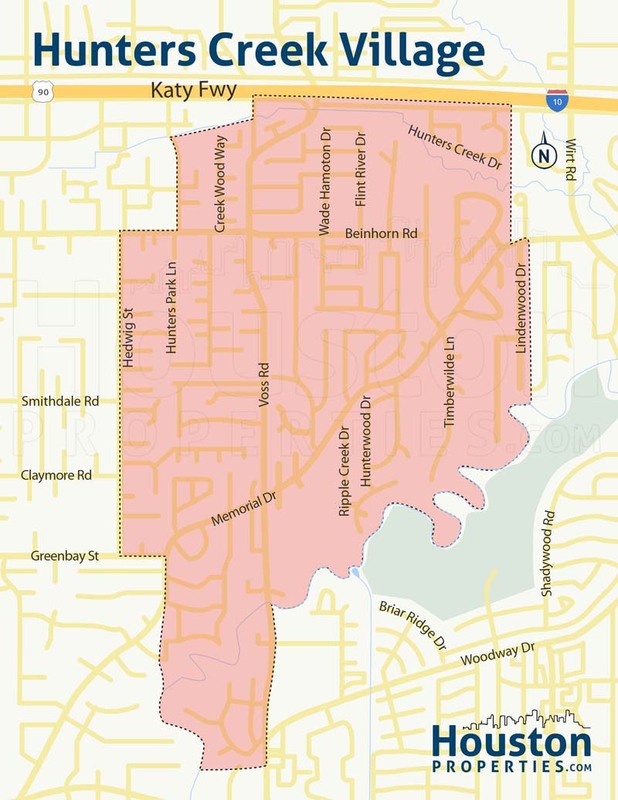 Looking to prevent annexation and preserve residential zoning, Hunters Creek, along with 5 other villages, petitioned for incorporation. In 1954, Hunters Creek was incorporated with a mayor-alderman type of government. By the mid-1960s, Hunters Creek Village had a school and a church. From 1960 to 1980, the village’s population almost doubled, from 2,478 to 4,580. Today, Hunters Creek Village operates as an independent city. It also co-operates the Memorial Villages Police Department with Bunker Hill and Piney Point. The Village Fire Department and the Memorial Villages Water Authority serves all 6 villages. Forbes lists Hunters Creek as one of the “Top Suburbs to Live Well” in 2008. In 2010, a BusinessWeek study named Hunters Creek Village as the most expensive suburb in Texas. 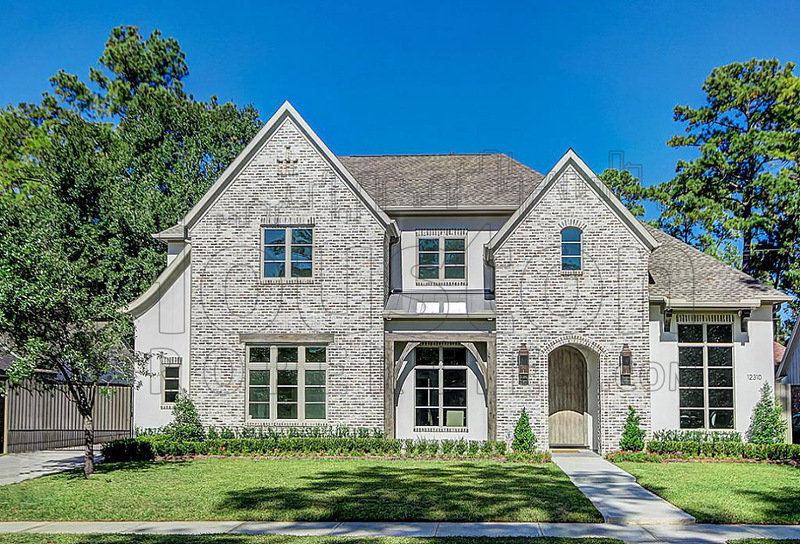 Among the most expensive neighborhoods in west Houston, Hunters Creek features gated subdivisions, upscale homes, and grand estates. Like most of the Memorial Villages, Hunters Creek has deed restrictions in place that forbid commercial establishments in the general area of the neighborhood. Stores, shopping centers, and restaurants are relegated to the fringes of the city. Residents, nevertheless, have plenty of entertainment, shopping, and outdoor activity options. Located in Hunters Creek, the Houston Racquet Club is a historic landmark, especially for tennis fans. It is cited as the birthplace of the modern WTA Tour. It still offers tennis and fitness facilities at its grounds at 10709 Memorial Drive. Courtside Cafe and The Grill cater to members of the club. The club went into a reciprocal relationship with the Westwood Golf Club, located at 8888 Country Creek Drive. It features an 18-hole golf course and practice facilities (driving range and short game area). Located at 1 Potomac Drive, the Houston Country Club is located just south of the Hunters Creek, across the Buffalo Bayou. Lakeside Country Club, another members-only club, is located at 100 Wilcrest Drive. Memorial Park Golf Course is just a short drive away from Hunters Creek. This 18-hole golf course is a top-rated municipal golf course. It has a 122 slope rating and a 73 course rating. The Galleria, a major Houston shopping destination, is also a few minutes away. Other shopping hubs like the Memorial City Mall and the CityCentre are equally accessible from the neighborhood. Hunters Creek residents also have convenient access to entertainment, retail, and cultural hubs in Houston, including the Museum District and Downtown Houston.